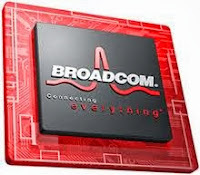 # The job involves design , architect , build and productize the physical layer of 802.11 wireless semiconductor chips. # System design, integration and validation of wireless systems are key strengths required for this position. # Solid understanding of PHY/MAC systems, including hardware and software, digital, analog and RF components. # B.Tech/M.Tech (EE/EC/CS) from a reputed institution with good fundamentals and specialization on VLSI/Microelectronics/Electronic design.